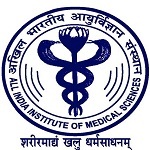 AIIMS 2019 Exam Pattern gives details about exam mode, type of questions, weightage, etc. AIIMS MBBS is a national level entrance examination, which is organized by the All India Institute of Medical Sciences, New Delhi. It is conducted for providing admission to MBBS education. MBBS is offered by seven AIIMS institutions of the country. The AIIMS MBBS score card will be considered by AIIMS, New Delhi, Bhubnaeswar, Patna, Guntu, Nagpur, Raipur, Bhopal, Jodhpur and Rishikesh. AIIMS MBBS entrance exam will be conducted through CBT (computer based test) in various cities of India. In this article candidates can get the complete AIIMS Exam Pattern 2019. Mode of Exam: The exam will be conducted through Online Computer Based Test (CBT). Shifts: Its written examination will be organized in two shifts (morning and afternoon). Exam Date: The exam will be conducted on 25th & 26th May 2019. Subjects: Chemistry, Physics, Biology and General Knowledge/Aptitude. Duration of Exam: The complete exam will be of about 3 and 1/2 hours. Shift: The examination will be conducted on two shifts, i.e. morning shift (9:00 AM to 12:30 PM) and afternoon shift (3:00 PM to 6:30 PM). Type of Questions: The questions will be comprised of Multiple Choice Questions (MCQ) and Reason-Assertion type. Total Questions: Total of 200 questions will be asked in the examination. Language of the examination: The questions paper will be asked in English as well as Hindi medium. The AIIMS syllabus for the examination is not be prescribed by the institution. The syllabus is comprised of the 12th standard as per the 10+2 Scheme/Intermediate science. Candidates are advised to go through the 12th class complete syllabus. Follow the NCERT books and some other reference books. Candidates can also refer some reference books available in the market. Candidates have to report the exam centre before two hours of the mentioned time on the admit card. No candidate will be allowed to enter in the examination hall before 15 minutes of the exam. Do not carry a pen/pencil, electronic gadgets, study material, etc in the examination hall. Do not leave the examination hall without permission of the invigilator. If you have any other query regarding AIIMS 2019 Exam Pattern, you can write your queries in the given below comment box. What about the scanned images of photo, signature and thumb impression?how will it completed?pls tell me. It is a online CBT test.then what about written examination?will it be held in two shifts? is it exam ranking depends on category ranking??? What is syllabus?and which rank I have to get being an minority,to get a medical seat? How many marks we should score to qualify in AIIMS ?? Yes, there is negative marking of -1/3 for each wrong answer. In aiims exam allowed calculator???? Any application forms now available for medical colleges? Is photo should be similar to that uploaded in form ? Wt should v carry for exam as Id proof…?? How many assertion and reasons will be asked from PCB ? Class 12th as per officials. how many minimum marks we required in gujrat board examination for Qualifying the Aiims exam?? Means it the exam will conduct once in morning and once in afternoon. Sir plz clear me the syllabus of aiims 2018 .whether all the chapters of 11 and 12 are included. Also tell me important topics to be more focused. The syllabus will be asked from 12th class. But the chapters, showing in the syllabus part are of class 11.so,what about 12 ? Do I need to go through 11th standard syllabus also for this exam? What are the marks awarded for each correct answer? And on what basis are candidate is declared to have cleared this exam and can proceed further for MBBS Course? ? Do weme need to give the exam on both the days?? Is it necessary to qualify in each group is physic, chemistry, biology and gk in AIIMS 2018 ?Is it necessary to qualify in GK in AIIMS 2018 IS MANDATORY ? Does the exam has negative marks??? Can we get previous question paper just for a reference.also will the questions be repeated….??? When will the admit card be released??? The admit card will be released shortly. If in the examination hall we need to solve a question on paper before doing it on computer then how we are going to do it because we won’t be having any pen or pencil..
will the exam will on both days so how is the pattern of the exam? what are the criteria for foreign students. My date of birth is 18/02/1992. Can I apply the AIIMS MBBS exam in 2018? tentatively from 2nd January 2018. By when the application form will be available ? how can we get application form ? whether offline exam is available? Please explain about online computer based test (CBT). How to mark the correct answers?. Either by selecting tick mark by mouse, or by writing correct options by keyboard(mouse)?